Elspeth Cooper was born and raised in Newcastle upon Tyne. Ever since she was read IVANHOE as a bedtime story, she has been fascinated by storytelling, even declining a place at university because she was more interested in writing than studying — much to her parents’ chagrin. 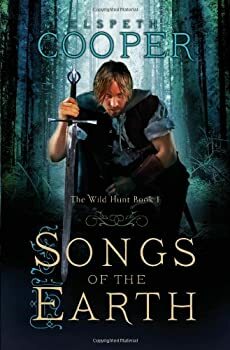 Now her lifelong fascination with language has been put into practice with SONGS OF THE EARTH, her first novel, and the first of The Wild Hunt series. Ms Cooper lives in Northumberland with her husband and cats. Here’s Elspeth Cooper’s website. CLASSIFICATION: Songs of the Earth is a PG-13 traditional epic fantasy novel that reminded me at times of Terry Brooks, David Eddings’ The Belgariad, and Gail Z. Martin.